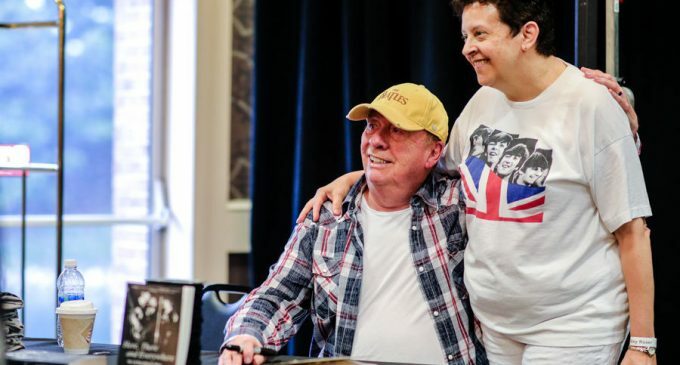 Never has there been — nor will there ever be — another first week on the job quite like the one Geoff Emerick had nearly 56 years ago. The year was 1962. The location was EMI Records at Abbey Road in London.Emerick was only 15.An innovative young lad with a love of music since the age of 7, he had stepped out in faith and interviewed for a sound engineering job at the famous studio.His Dad went along with him on that interview.He wasn’t confident he had made an impression. But, to his delight, Emerick received a call back from the studio and was hired as an assistant engineer. Hard to top that lucky break.But, fate still had a little more in store for Emerick. On his second day of work, the self-described “button pusher” had the opportunity to sit in on the first EMI recording session of a promising band from Liverpool.They were called The Beatles.The song was “Love Me Do.”And life was never the same for Emerick — or the world.Not only did he serve as assistant engineer on many of the Beatles’ other early hits, including “I Want to Hold Your Hand,” “She Loves You” and “A Hard Day’s Night,” but he went on to serve as the band’s chief recording engineer — starting a few months shy of his 19th birthday. Emerick is the man responsible for engineering many of the often whimsical, sometimes bizarre but always distinctive sounds of John Lennon, Paul McCartney, George Harrison and Ringo Starr on the “Revolver,” “Sgt. Pepper’s Lonely Hearts Club Band” and “Abbey Road” albums, considered by many to be some of the greatest rock recordings of all time.For two solid nostalgic-packed hours, Emerick regaled a spellbound sold-out Southern Indiana audience with his colorful account of time spent making now-fabled musical history with the Fab Four.As a special feature of Abbey Road on the River this past weekend, Emerick’s talk had diehard Beatles fans of all ages hanging on to his every word in a full ballroom at the Radisson in Clarksville on Saturday morning. During his presentation, Emerick was interviewed by Beatles aficionado Joe Johnson, a highly engaging and popular national radio personality who hosts “The Brunch” — a widely distributed Beatles-centric radio program and popular website.Throughout their playful, trivia-filled conversation, Emerick did more than answer questions about the band’s creative process in the studio and how he achieved the sounds on their most famous and beloved songs.He painted a vivid picture rich with lush details of how the Beatles were mere fun-loving mortals with mop tops who loved to cut up in the studio and make music together.Emerick transported the audience back to the dawning of the rock era, traveling back to London in the 1960s, providing a fascinating look through his eyes as to how he brought to life the unique sound and distinct vision the Beatles desired for their music.While he sorted out the myth, the magic and the lore of his now-famous moments with the Beatles during countless innovative brainstorming and recording sessions of some of their most beloved songs — including the “A Day in the Life,” “Being for the Benefit of Mr. Kite!” and “Strawberry Fields Forever” — the overriding reality gleaned from the talk was that Emerick was obviously the right man at the right time for the albums he worked on with the Beatles and their legendary producer George Martin.“They basically came in (to the studio) with a lyric and an idea,” Emerick recalled. Emerick was nervous because he was still so young, and the Beatles were already known around the globe at that time.That’s when he began working with the Beatles on “Revolver,” which includes “Taxman,” “Eleanor Rigby,” “Yellow Submarine,” “Good Day Sunshine” and “Got to Get You Into My Life.”“Revolver” was the Beatles’ final recording project before their surprise retirement as live performers. Emerick remembers when Lennon walked in and announced the news — a bombshell the world knew nothing about at the time.He remembers Lennon saying that — instead of touring — they were going to focus on studio work, making sounds and records never heard before.“And everyone looks at me,” he recalled as the crowd laughed.Ultimately, what Emerick felt were weaknesses — his young age and relative inexperience in the music business — turned out to be some of his greatest strengths for the band. Emerick’s willingness to push the norm, ignore protocols and develop previously unthinkable techniques to achieve the Beatles iconic sounds mirrored the band’s experimental ideas, revolutionary thinking and rebellious tendencies.The audio that came from this epic meeting of the minds between Emerick and the Beatles on still inspires musicians nearly six decades later. 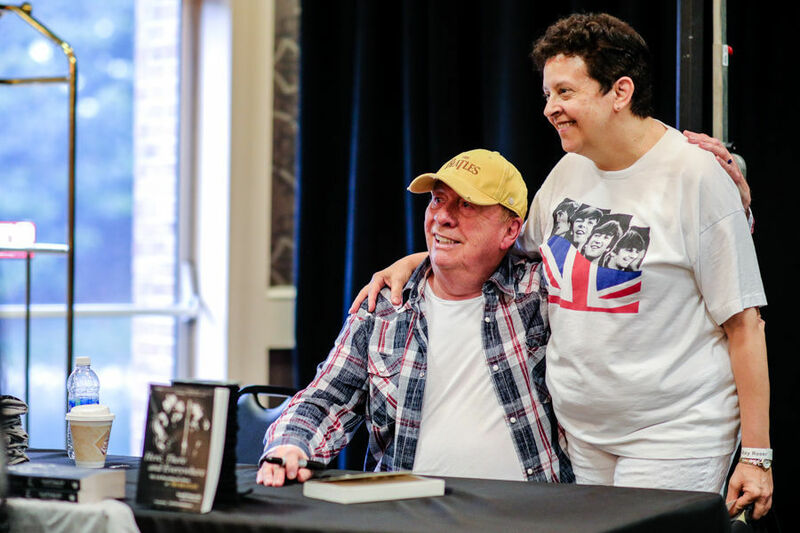 Fans enjoyed hearing Emerick describe his everyday moments with the Beatles – describing McCartney as a “romantic,” sharing about Harrison’s wicked sense of humor and touching on Ringo’s pure likability.